Home » Blog » How Can Sleep Cure Jet Lag? Recently in the middle of a long Transatlantic flight to the U.S., I started to wonder how I would function at the important business meeting I had the next morning – seven time zones and an entire world away from home. I turned to my neighbor that I’d been talking to during the flight, and I asked him what I should do to help avoid that thing we all fear and dread when we travel across the globe: jet lag. His cure for jet lag was similar to what I’d heard before: stay hydrated as much as possible, don’t drink alcohol, and try to adjust your sleep in advance to the new time zone you’re traveling to. This was all good advice, and these tips have in fact helped me cure jet lag before. But my real concern was how I was going to get to sleep that night, and whether the inevitable jet lag I was about to face would prevent me from functioning the way I needed to at work the next day. Our bodies work on a 24-hour cycle called “circadian rhythms.” These rhythms can influence sleep-wake cycles, eating habits and digestion, body temperature, and other important bodily functions. All of these are influenced by our exposure to sunlight and help determine when we sleep and wake up. When we travel to a new time zone, our circadian rhythms adjust slowly and stay on their original biological schedule for several days. This results in our bodies telling us it’s time to stay awake when it’s the middle of the night, or sleep when it’s the middle of the day. This is of course known as jet lag. What this all means is that the more time zones you cross, the more likely you are to be sleepy and sluggish — and the longer and more intense these symptoms you’re feeling are likely to be. In fact, it can take up to a day for each time zone crossed for your body to adjust to the local time. 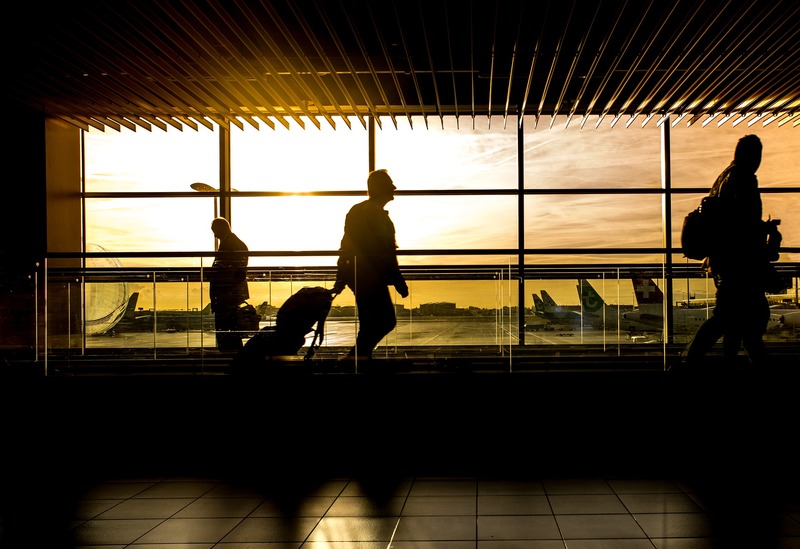 Some research even suggests that changes in cabin pressure and high altitudes associated with air travel can also contribute to some symptoms of jet lag, regardless of travel across time zones. The low humidity levels in planes also don’t help, nor does the fact that dehydration will often start to set in. Along with the more obvious symptoms of fatigue and insomnia, jet lag sufferers might experience a number of physical and emotional symptoms as well – including constipation, irritability, difficulty concentrating, sweating, daytime sleepiness, malaise (a general feeling of being unwell), and even memory loss. Some even report additional symptoms such as heartbeat irregularities and increased susceptibility to illness. Early birds are more affected by jet lag than night owls, as are people over the age of 50. And business travelers, flight crews and others who travel frequently or take long flights are at high risk for jet lag, since they are constantly traveling to different time zones – causing their body to have difficulties settling into a steady circadian rhythm. People with pre-existing sleep issues or high levels of stress also tend to experience stronger symptoms, as do those who drink large quantities of caffeine or alcohol. Sleeprate assists you to overcome barriers on your journey to better sleep. Whether it’s jet lag or for any other reason, if your sleep is out of sync with your daily life around you, Sleeprate can help you reset your sleep-wake schedule to fit your needs. We previously covered in our Knowledge Base several ways to cure jet lag. We talked about how moving across time zones can significantly alter the synchronization our biological clocks are used to. We talked about how going East is often more difficult than going West – due to the compression of the day-night cycle and how it means a loss of calendar time for recovery. Our tips for overcoming these jet leg symptoms include starting the adaptation process for synchronizing your biological clock a few days before departure, or by forcing a quicker alignment after arrival. This can be achieved by exposing yourself to bright outdoor lights, and by adhering to sleep hygiene rules. Sleeprate can help by identifying sleep-wake patterns and detecting a biological clock that is slow, fast or simply abnormal. If an out-of-sync clock is found, Sleeprate recommends ways of dealing with it. Sleeprate provides valuable and important insights regarding sleep problems, detects the roots causes of sleep troubles, and guides you step by step on how to solve your sleep difficulties. Using a sophisticated algorithm based on heart rate variability, Sleeprate will determine exactly how long it takes you to fall asleep every night, and then guides you through a step-by-step program where you learn techniques that enable you to fall asleep faster and have better quality sleep. The sleep improvement program, called Cognitive Behavioral Therapy for Insomnia (CBTi), was developed at the Stanford University Sleep Clinic and adapted by Sleeprate. To learn more about Sleeprate and how we’ve helped provide the most innovative and sophisticated sleep treatment solution in the market today, visit us at www.sleeprate.com. You can also download our Sleeprate app (available in the Play Store and App Store), for in-depth insights into the different stages of your sleep, including the ability to see the amount of time you spent in different sleep stages and when they occurred.